The Minor Arcana Tarot cards relate to our daily lives and to the underlying drifts and waves we are experiencing right now. While the Major Arcana show us deep spiritual lessons and messages, the Minor Arcana focus on the subtle details. These cards help guide us through difficult times and give us perspective on what is happening in our lives right now. Minor Arcana cards also help us foresee changes. Among other things, these cards touch base with our emotions, spirituality, work, and creativity. There are four suits in the Minor Arcana which relate to the four elements. These suits are Cups, Pentacles, Swords, and Wands. All four of the Minor Arcana suits have 14 cards each starting with Ace through 10 followed by the court cards; Page, Knight, Queen, and King. They make up a total of 56 cards out of the 78 Tarot card deck. 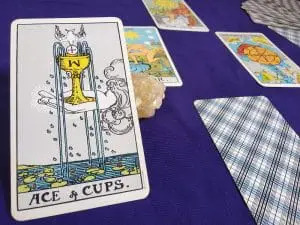 The Suit of Cups relates to the element of water, which in astrology are the signs of Pisces, Cancer, and Scorpio. The next element is the Suit of Pentacles representing earth and the astrological signs of Capricorn, Taurus, and Virgo. Next, we have the Suit of Swords with the element of air (Aquarius, Gemini, and Libra). The last element is fire (Sagittarius, Leo, and Aries) which is represented by the Suit of Wands. 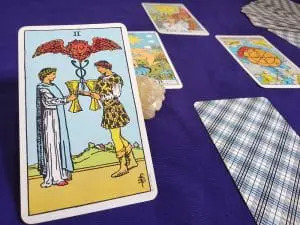 The Tarot reading will be determined by the spread and accompanying cards. There are many spreads you can choose from. 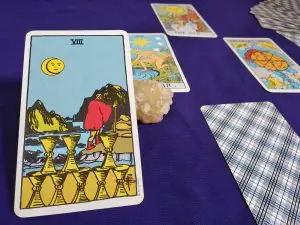 If you have a simple question you would like to address, you can start with a three card reading. 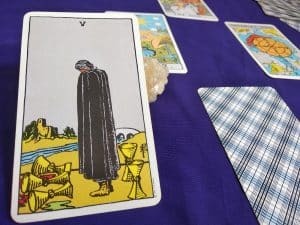 This reading will focus on the past, present, and future. 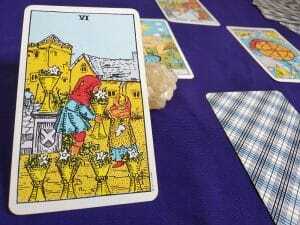 The card will change its meaning based on the question and the position of the card as well as the accompanying cards. For a more advanced reading that provides details and specific guides through a problem, you can try a seven card horseshoe spread. More advanced spreads can help you investigate hidden issues that you may not be aware of. The Minor Arcana can warn you of a negative event approaching or a turbulent emotional period. This warning will enable us to take action to handle this period of strife. It is important to see cards in a positive light rather than a negative one. Positive thinking will give us the ability to improve our situation, rather than dwell in what is wrong. Minor changes are easy to make, and they can enable us to reach higher mountaintops and deeper waters. 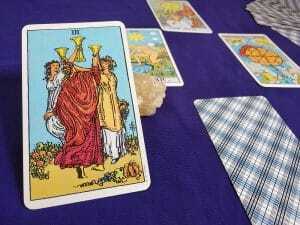 The Minor Arcana Tarot card meanings can also symbolize good fortune, praise, and happiness. They could mean that there are periods of joy or that something positive is coming from work or romance. 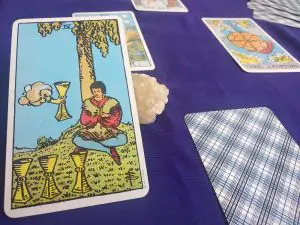 New love interests and even indications of money can be seen in the Minor Arcana Tarot cards. Sometimes we may have multiple cards of the same suit which will amplify that area more. 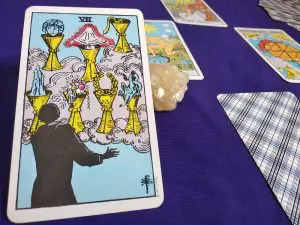 For instance, if your spread contains three cards of the Suit of Swords, you may be dealing with a lot of Air influence in your life. Things like communication, logic, action, courage, and mentality will be the main focus.